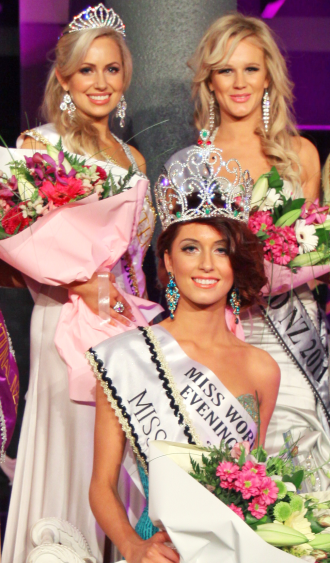 18 year old Collette Lochore from Auckland was officially crowned as the new Miss World New Zealand 2012 during it's grand finale held at the Tasman Room of the Alexandra Park Function Centre in Auckland. She was crowned by Mianette Broekman, her predecessor. Collette stands 1.81m tall and will be the Kiwi representative at the Miss World 2012 pageant on August 18 in Mongolia. The 1st run-up and competing in Miss Earth 2012 was Gloria Ofa Blake. 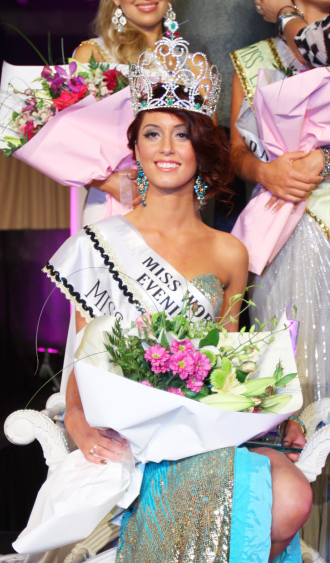 The 2nd run-up was Hannah Carson who will compete in Miss International 2012 in Okinawa, Japan. The 3rd run-up and delegate to Miss Tourism Queen International 2012 was Nicole Brown. Miss World New Zealand is an annual beauty pageant that seeks an ambassador to represent New Zealand on the global Miss World stage. It is a pageant designed to celebrate culture, beauty, fashion and talent and cherishes it's theme "Beauty with a Purpose", which embodies the true spirit of the crown by helping and supporting disadvantaged children. * Meet the Candidates Here!